It is important to collect all bugs, or TR for Trouble Report as some call it. You will learn that some of those creepy agilists have a tendancy to fix bugs immediatley instead of collecting them. That means less power for you and it must be stopped immediatley! Who knows how much time gets spent in fixing bugs if we not meticulously collect them, prioritize them and store them away in the bug tracker? There is something called Change Control Board and we all like the words “control” and “board”, do we not? Don’t miss the moral here. Nobody can get cocky about being a good developer since there is always a huge list of bugs to point to. Where did they come from if not from the lousy developers? 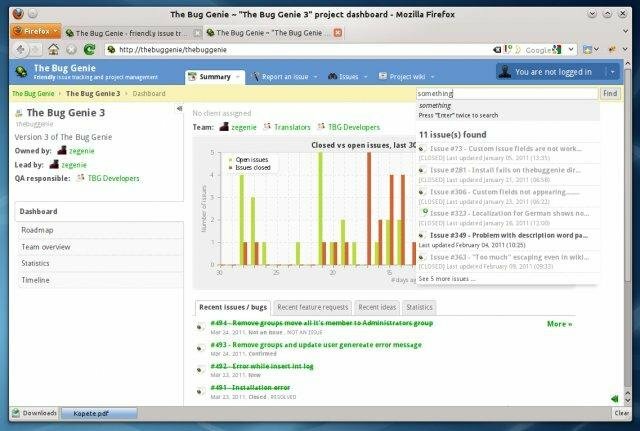 There you go, an excellent tool to keep a firm grip on developer morale: the bug tracking system! A bonus tip: use it during the performance review. Assign bugs to individuals, whether they are planned to be fixed or not. Then during the performance review, start off with a list of bugs assigned to the person in question. Exclude the ones fixed and do take the opportunity to assign some more bugs a few minutes before the meeting. I enjoy the cleverness and satire in this post. However, I can’t find it funny, only sad. It makes me sad because it is real. I know people who have been demoralized and attacked by people using the database of bugs they are not allowed to fix as a weapon. I wish I could laugh. A witness! See that my advice comes from real life experience. Thank you for the cred! Alan, humour is the strongest weapon against evil. Hope there is some comfort in that. Sounds as if it is time to pull all our superpowers together and start demolishing the evil forces! Let’s save the world from crappy code. Away with bugs and performance appraisals!